Welcome to The Meadows, one of our world-class community recreation centres. Our Member Experiences team can lead you on an in-depth tour of the facility, and help you find the programs, amenities and opportunities that will suit the individual needs of you and your family. Drop-in tours are available daily from 7am to closing. 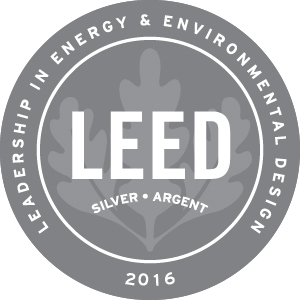 The Meadows Community Recreation Centre, a LEED® certified project, achieved silver level certification. If you are interested in a tour of the recreation centre to learn more about the LEED® green building features, please drop by the Main Information Desk on Tuesdays or Saturdays at 10am and one of our staff will be pleased to show you around. You are also welcome to visit the LEED® educational wall display inside the north entrance anytime during normal operating hours to learn more about the green building features. The Meadows Community Recreation Centre is a part of the All Facility category, which grants members access to instructor led programs, drop-in shinny hockey, and all of the City of Edmonton Recreation Centres. A complete list of facility amenities is available on our Amenities page. Wondering which membership plan, programs and services are going to best suit your needs? Our Member Experiences staff are here to help!